Innovative Equipment Solutions, Inc. was founded more than 10 years ago to address a growing need in the construction and mining industries – the need for a robust, easy to use and maintain Automated Wheel Wash System. IES, Inc. is part of the Garrett Companies, which have generations of history in the excavation and mining business. This experience showed us the need for a wheel wash system that we could use in our own operations. We began manufacturing the Neptune brand of Automated Wheel Wash Systems in 2005, in our 30,000 square foot facility in Hot Springs, Arkansas. 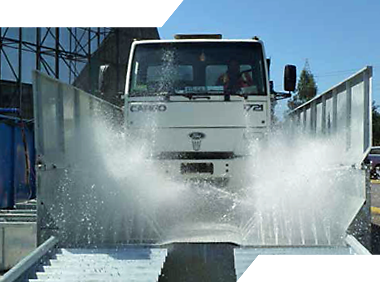 Over the years, we have established ourselves as the premier wheel wash system worldwide, and offer a full line of Automated Wash Solutions for both on and off road trucks, and tracked and wheeled vehicles. 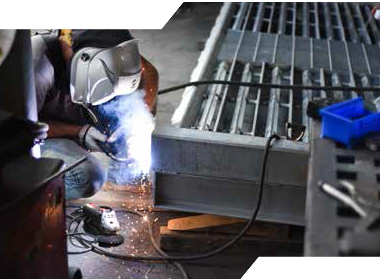 Our experience as the ultimate end user has allowed us to develop a robust system that is designed to for you to operate and maintain at a field level with minimum effort. The Neptune team is always innovating because we consider the entire process. Removing Solids is only part of the equation, but keeping the water clean in the process is just as important to us, and we are the only team in the industry with that focus. We understand the importance of clean water. The Neptune Team is the only team in the industry that focuses as strongly on keeping the water clean as it does removing the solids. As a result, our Water Recycling and Solid Seperation tanks, as well as our flocculent mixing equipment, can be used in a variety of industries to help clean and re-use processed water. We are continually searching for new ways to innovate and make the Neptune brand of wheel wash systems the most effective system on the market. 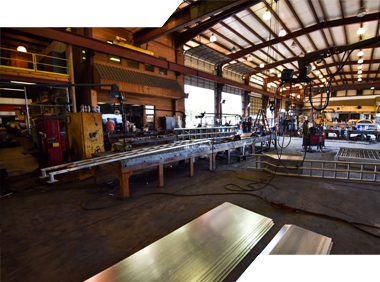 Our engineering and design teams have developed a number of solutions that address a wide range of needs. While we consistently focus on innovation and increased efficiency, our competitors' wheel wash systems have remain widely unchanged for the last decade. • We were the first to develop a high pressure undercarriage wash specifically designed to remove bitumen from trucks operating in Canada's Oil Sands. • We were the first to develop a closed loop system complete with filtration that removes sodium chloride from beneath trucks involved in salting the roads. • We were the first to develop a system to be used to disinfect against Noxious Weed or Invasive Species Contamination. • We were the first in developing systems specifically designed to halt the spread of diseases in the poultry farming industry, such as avian influenza.